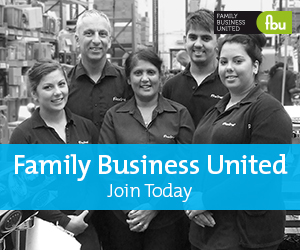 Bowker reach a #FamilyBusinessMilestone and plan a year of celebrations to mark their centenary. The Company was established in 1919 when William Bowker used his war gratuity to buy the first vehicle. He began making local deliveries in Lancashire earning a reputation for a pioneering spirit and an innovative approach to industry's needs. It wasn't long before he'd assembled one of the largest fleets in the area. The Company continued to prosper until 1949 when they were nationalised but continued to operate as warehousing keepers. In 1954 a change of government brought a swift and welcome reversal of the situation and de-nationalised the industry. In December 1961, Bowker took their first steps into Europe moving a carpet tufting machine to Holland which attracted a lot of interest from UK manufacturers in the process. The new service led to unprecedented levels of freight being moved by road to the continent and with business booming, Bowker opened its depots in Hull in 1973 and Zeebrugge shortly after in 1976. The Company diversified its activities in 1984 with the acquisition of Clock Garage in Accrington - the authorised BMW dealership for East Lancashire, and today, its Retail Motor Division incorporates the BMW and Mini Dealerships in Preston and Blackburn, Harley-Davidson Motorcycle Dealership in Preston,Maserati Dealership in Ribble Valley and its latest acquisition BMW Motorad Dealership in Southport, which has relocated to its new purpose built site in Preston. Today, Bowker is a major UK and international transport and warehouse provider operating in excess of 160 vehicles 300 trailers, providing over one million square feet of warehousing at their 7 UK sites. They continue to invest in their people, equipment and infrastructure including continually evolving state of the art IT solutions. Their commitment to providing responsible, secure and reliable transportation services has been recognised by the accreditations and Industry awards the Company has received. The Company is also extremely proud to have recently been voted one of the 'Top 20 Great British Transport Companies of all Time' - a testament to our heritage, the present and our future. As one of the UK’s oldest International and UK logistics specialists, Bowker have unveiled a new livery to launch a year of centenary celebrations.